The upper apartment is extremely well designed and beautiful. It isn’t very big but the person who designed it has used the space available very well and it feels bigger than it actually is. The bed is comfy and the shower is also good also very clean. All in all excellent! 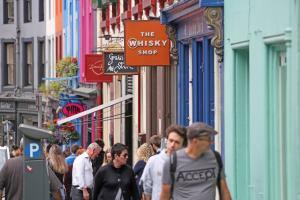 It’s location is fantastic for the main tourist area of Edinburgh. I would say it was good value simply because of the location. Lots of restaurants on door step. John very helpful. Location was excellent,centre of the old town, all modern facilities within and decor reflected 'old town' feel, very clean & homely. Comfy bed, excellent shower & ideal 'home-away-from-home' experience for any couple. Owner was available when needed & e-mailed to make sure we were satisfied with everything. Brilliant apartment, perfect location, you couldn’t get any better. Fantastic location. Lovely apartment, Clean, warm and very welcoming. Very well equipped. Smooth transaction from start to finish. Would recommend. The location was fantastic. Excellent for the price of room. 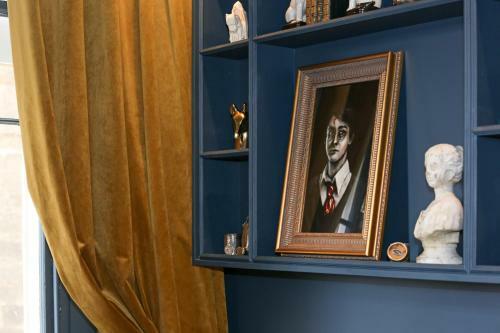 Loved everything about this quirky, cozy amazingly located appartment. Plush living area and extremely well equiped - amazing use of the space - washing machine, dishwasher, full oven! Bed was super comfy and cozy. Great strong shower. Loved all the little personal touches and effort gone into the decor to make the stay well over 100%. Host was fabby, loads of wee messages to keep you informed and advised - much appreciated. We booked at the last minute and Jonathan was soo sooo helpful - suggesting places to visit and providing directions. The location was perfect for visiting Edinburgh. And the apartment was soooo quaint! Cutest little apartment that is wonderfully styled and very clean. Lock in a great price for The Castle Nest - rated 9.6 by recent guests. One of our bestsellers in Edinburgh! 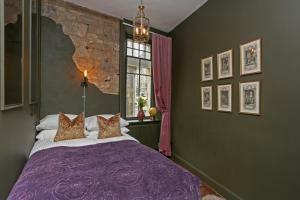 Located 50 yards from Royal Mile in Edinburgh, The Castle Nest offers accommodation with a kitchen. 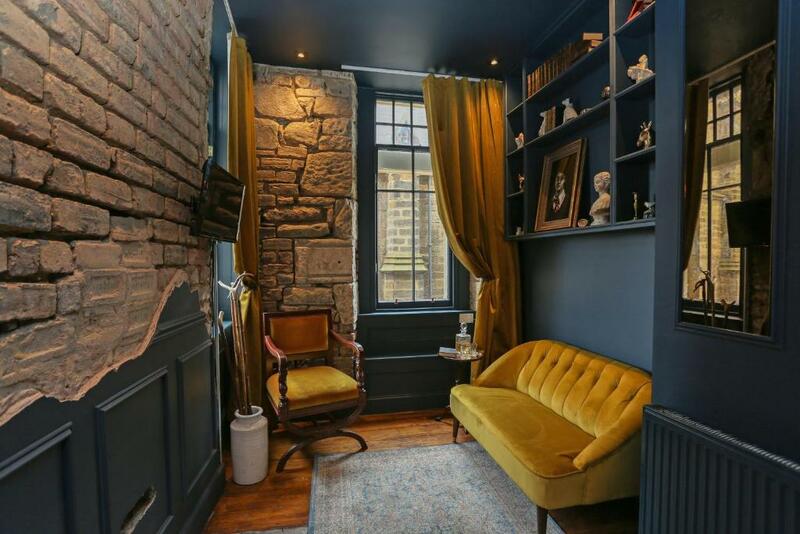 Housed in a building dating from 18th century, this apartment is 350 yards from the The Real Mary King's Close. The apartment includes 1 bedroom, a living room, and 1 bathroom with a hair dryer. A flat-screen TV with satellite channels is available. 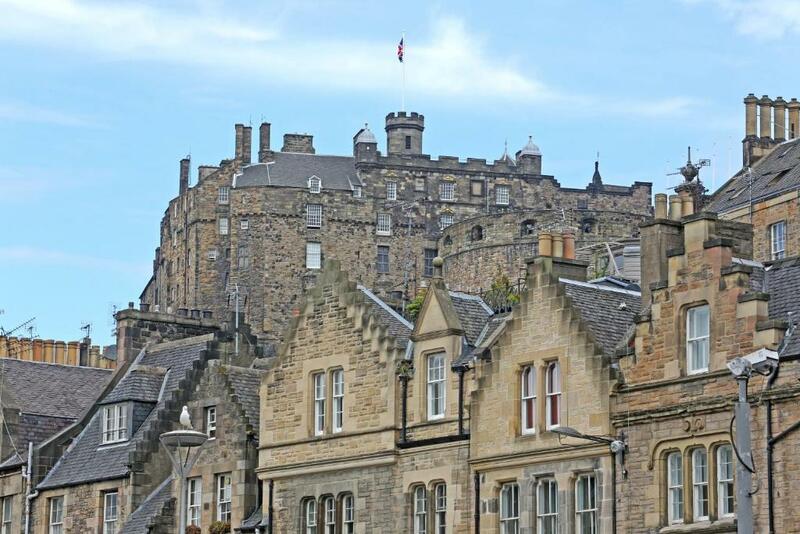 Edinburgh Castle is 450 yards from the apartment, while National Museum of Scotland is 750 yards from the property. The nearest airport is Edinburgh Airport, 8.1 miles from the property. Old Town is a great choice for travellers interested in Old Town exploring, atmosphere and history. The Castle Nest has been welcoming Booking.com guests since 12 Jul 2018. When would you like to stay at The Castle Nest? Welcome to The Castle Nest, the clue is in the name! 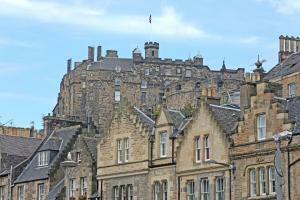 We are indeed a stones throw from Edinburgh Castle and situated in the delightful Old Town of Edinburgh. The Apartment is has recently been fully renovated and you wont be dissapionted having the Luxury of staying here. 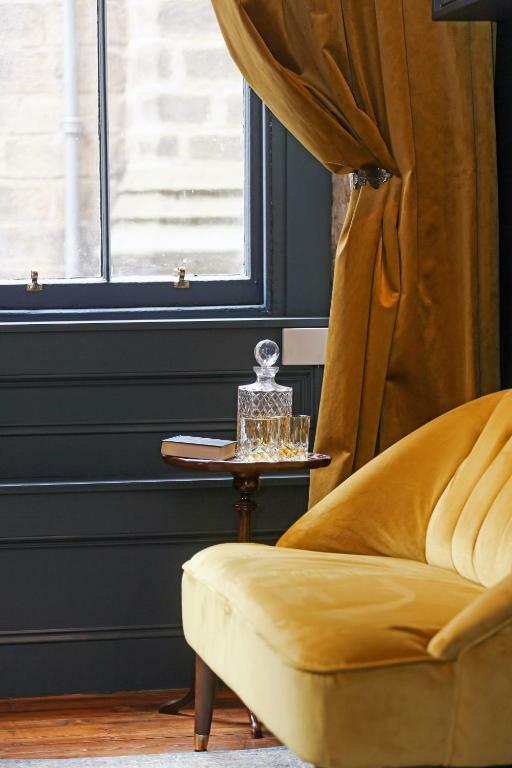 Lie back and enjoy the luxurious mattress or put your feet up, sit back after a long day exploring this incredible City, enjoy a Whisky whilst watching a movie on Netflix or listening to your favourite Music on the built in Sonos system. Whatever you decide, you will find your central stay comfertable with everything you need and more! We have hosted for many years and have experience of welcoming guests from all over the world. John who is from Edinburgh is the designer and renovator and has all the knowledge of Edinburgh, whilst Lisa who is there to ... well... keep John right in everything thats done here to make sure your stay is the greatest experience to make sure you want to come back as well as tell all your friends! 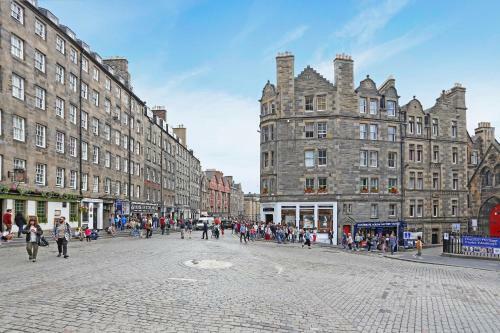 You are staying in the greatest area that Edinburgh has to offer for someone looking to explore the city attractions, in the Centre of the Old Town ! Walk out the front door and you are only 200 yards from the most famous doorstep - Edinburgh Castle .... explore this unique 14th Century castle which is built on volcanic rock! 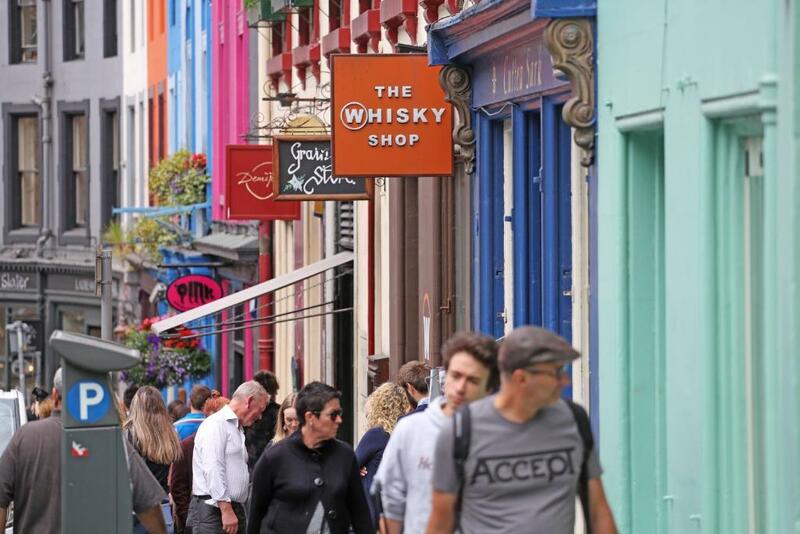 Walk the other way from your front door and you'll find the most beautiful colourful street full of boutique shops and vibrant bars and restaurants of Victoria Street and the Grassmarket. Whichever way you walk from the front door, you cant be dissapointed .... enjoy! Property surroundings – This neighbourhood is a great choice for travellers interested in Old Town exploring, atmosphere and history – Check location Excellent location - show map Guests loved walking around the neighbourhood! Stay in the oldest part of Scotland's capital, where gas lamps light up elegant buildings and cobblestone streets. Nearby, the imposing Edinburgh Castle looms over the city. House rules The Castle Nest takes special requests - add in the next step! Please inform The Castle Nest in advance of your expected arrival time. You can use the Special Requests box when booking, or contact the property directly with the contact details provided in your confirmation. Mattress protector was cheap and plastic, please buy a better quality one as it made us very warm. This is our only suggestion as the bed was was luxurious and of excellent quality and this spoilt it. Properly was spotless, exactly as in photos. No complaints really only advice to people booking. I would advise friends to stay here in a minute however I would not advise this apartment if you intend to do a lot of self catering, due to its size catering facilities are minimal. It’s perfect if you intend to mainly eat out. 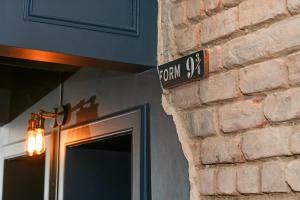 100s of lovely restaurants and eating places on your door step. I would say is it was rather noisy outside until the early hours, I guess it could be due to being a Saturday night and being in the heart of the city so if you want a perfect nights sleep then ..... it’s a compromise for being in such a stunning location. It is located on an upper level so it won’t bother you if you are a heavy sleeper or very drunk ! I would having said all that personally stay again, I would rate it 10 out of 10 if eating out. Over all very impressed and very clean. John also very helpful, thank you. Overflowing shower cabin, broken shower head, no space to put your bathroom belongings in the bathroom. The apartment is in a very old building and the bedroom could be a bit chilly since the main heater was in the living room, but still comfortable! The property was beautifully decorated and the location can't be beat! Our host was lovely and left some amenities for us. We felt very welcome, would gladly stay again! This location was AMAZING! The apartment was more than I expected, as well. It has a charming little (but full) kitchen, had I spent more time there I could have enjoyed cooking for myself :) I checked every option on the question about the neighborhood because it is all of those things, you have to experience it to know. I want to stay here again, and for longer, John (the owner) was very welcoming and helpful. Really a great place! Best location I’ve stayed at in Edinburgh. It’s just down from the castle. Everything is walkable even the Apt from the train station. A really fun Apt nice for two people. This will be our number one stop whenever we are in Edinburgh. 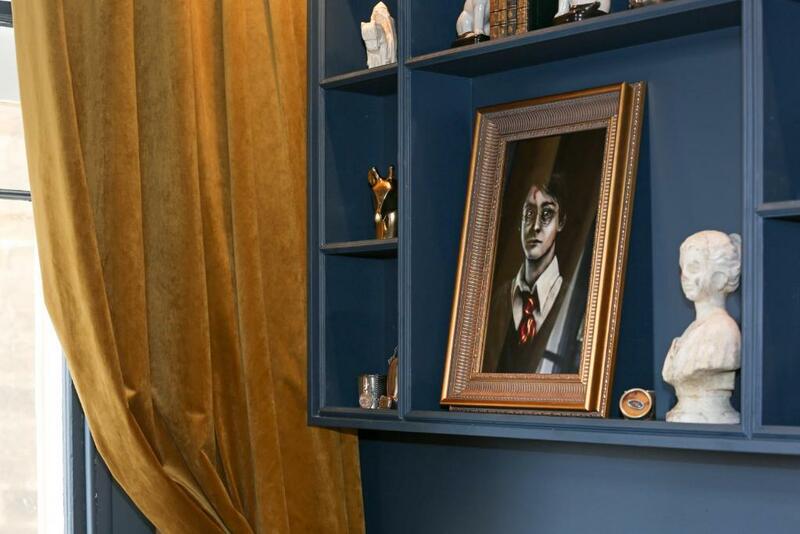 The theme of this perfect little abode will spark your H.Potter memory banks.... A HIDDEN GEM FOR SURE. John was a super host. Easy to stay in contact with.